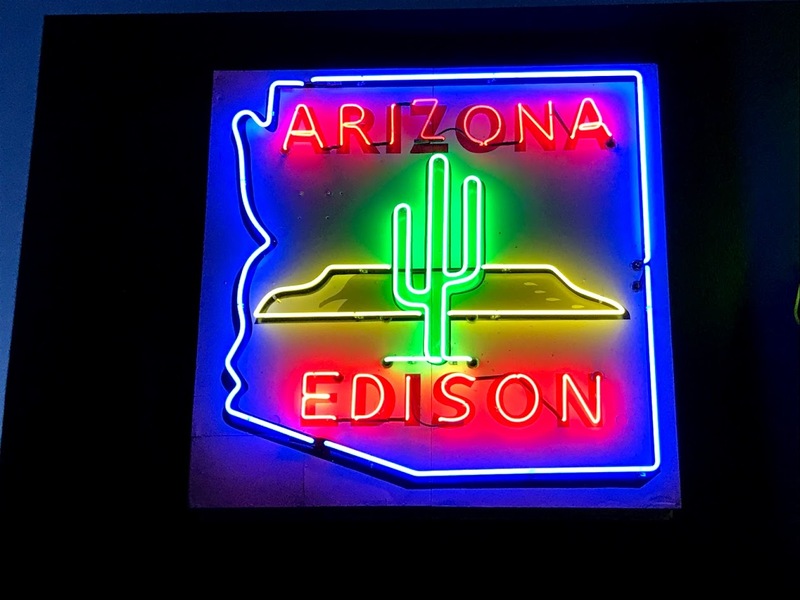 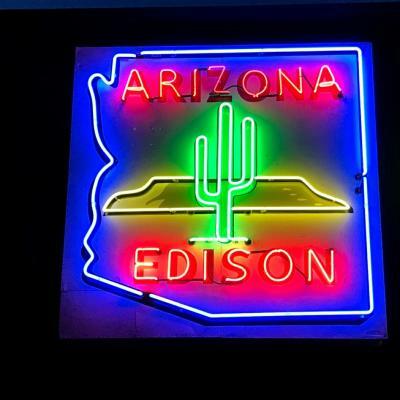 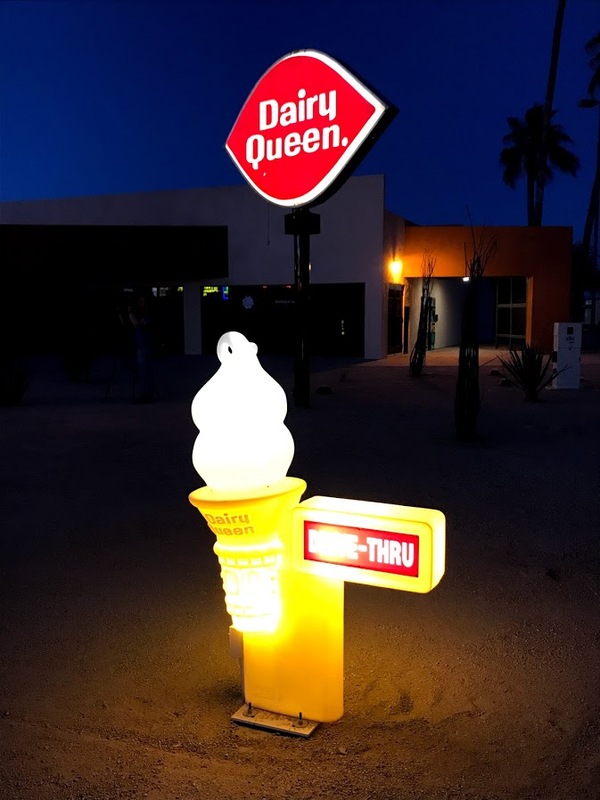 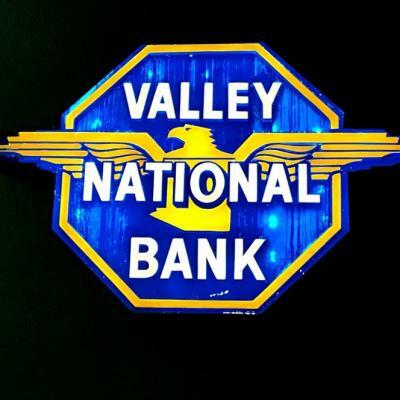 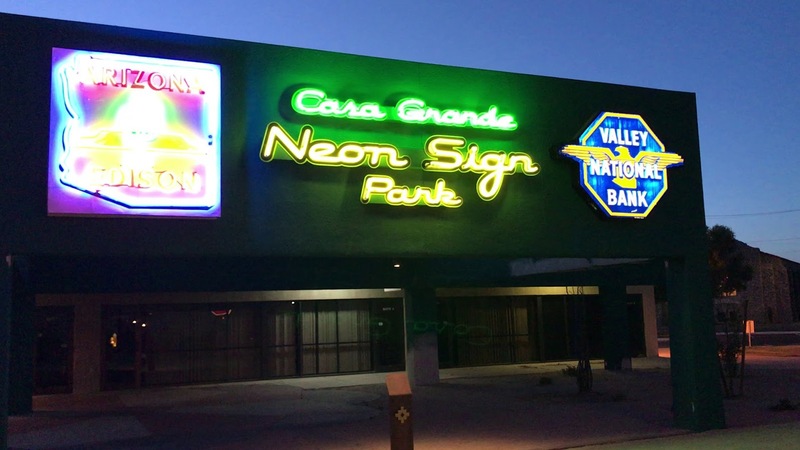 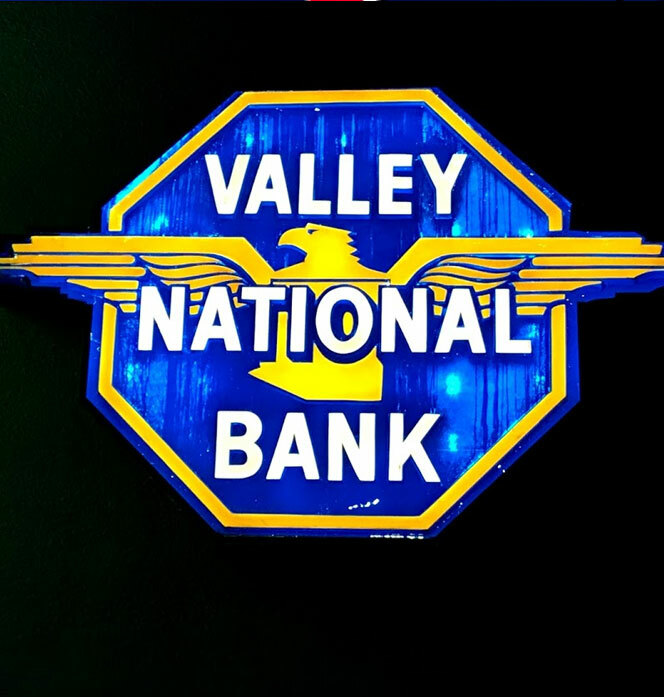 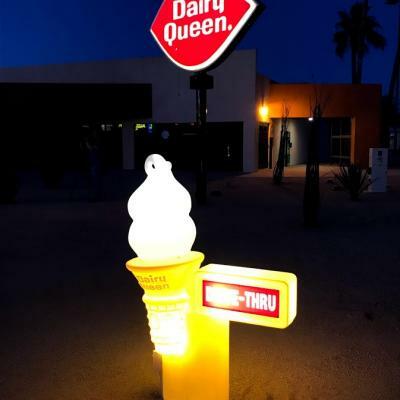 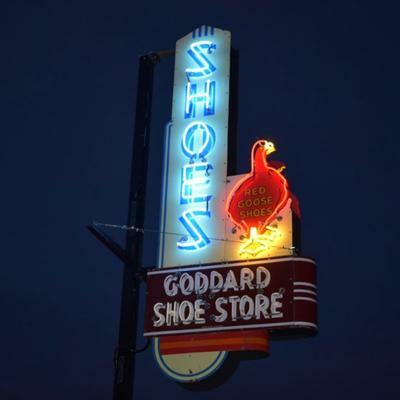 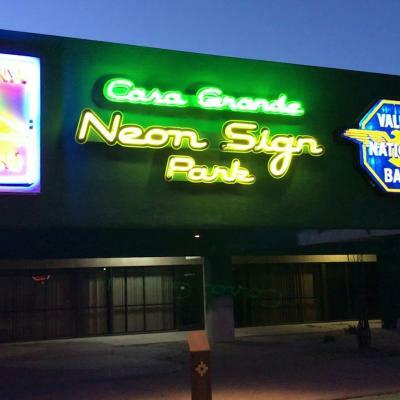 Over 100 local businesses and families supported our “Make Your Mark on the Neon Sign Park” Founders Campaign since we launched with AZ Gives Day April 2018. 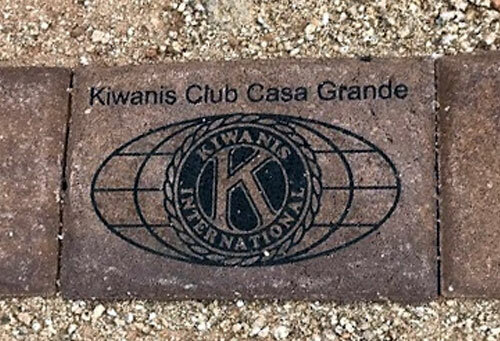 To date, we have raised over $20,000 used to sponsor Sign Plaques, Tailgate Benches and other features to enhance the ambience of the park. 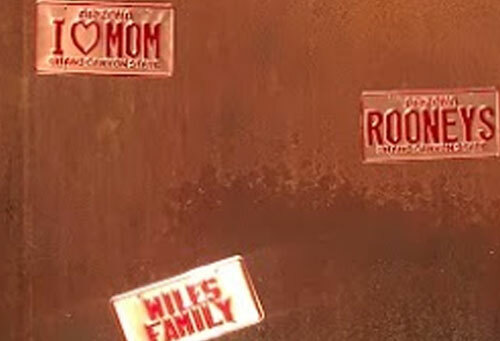 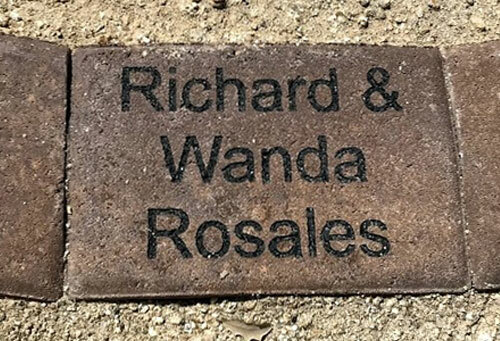 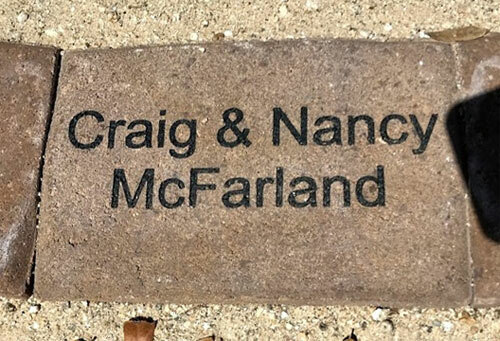 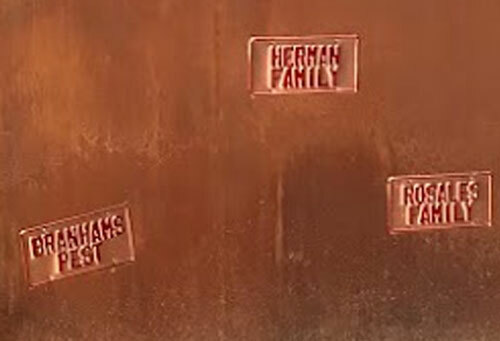 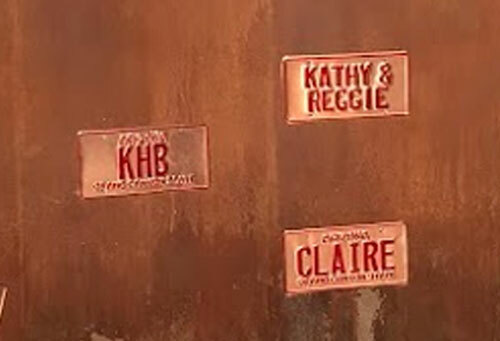 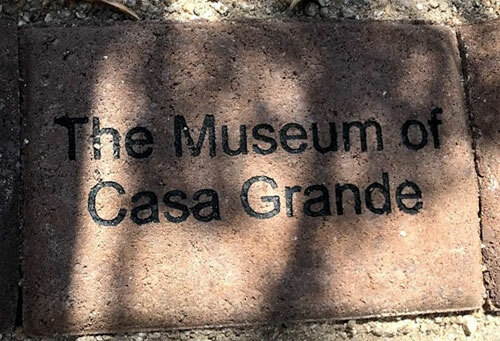 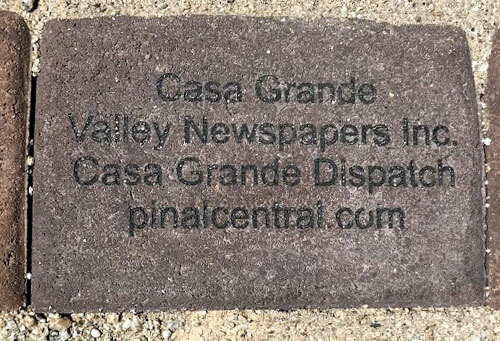 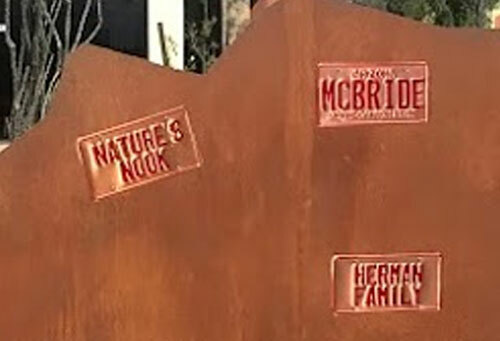 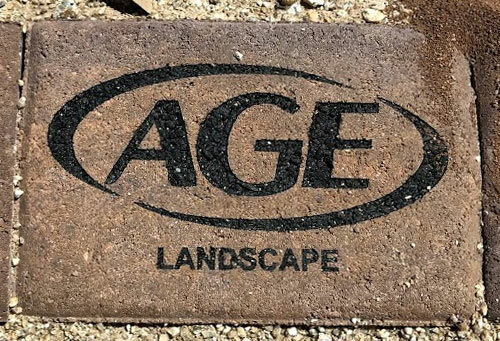 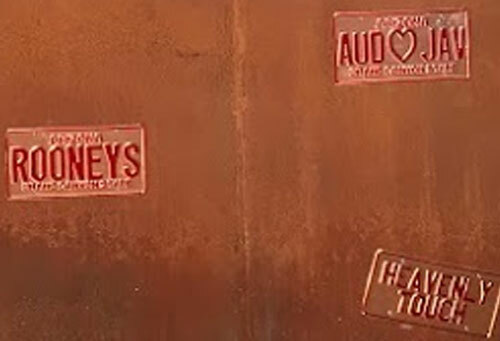 We will continue to provide opportunities to include your family name and/or business as a founder with a $100 Paver on the Founders Walk and $250 Historic License Plate on the Founders Wall. 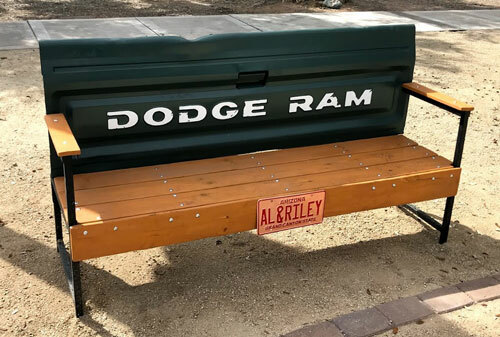 We have spots available for two more tailgate benches. 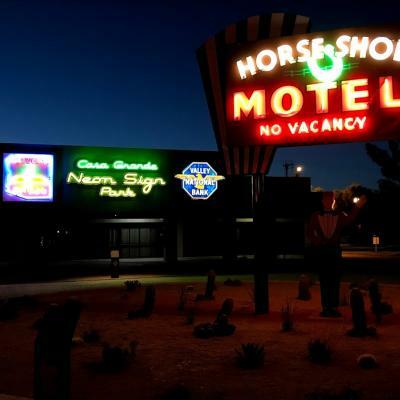 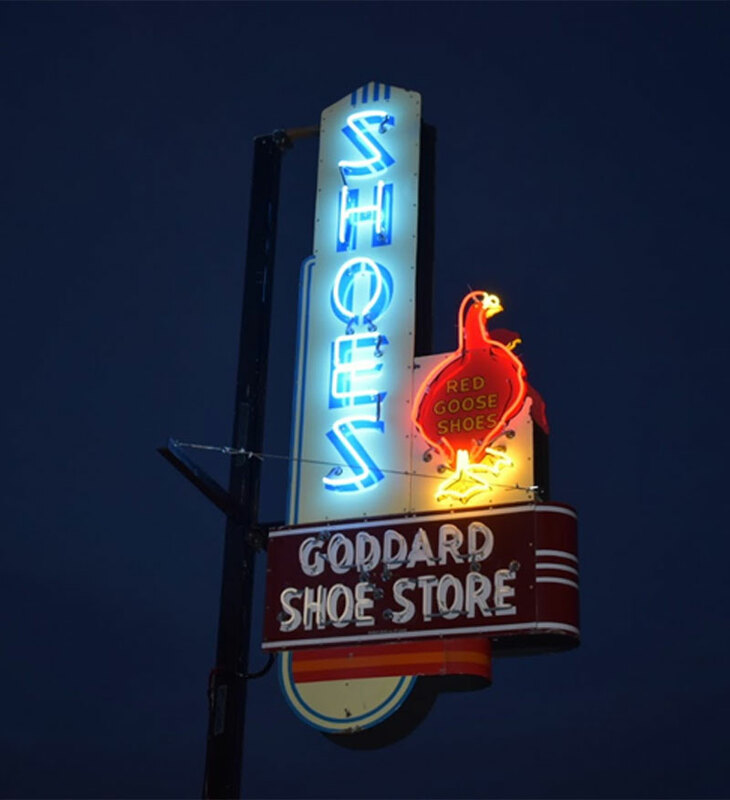 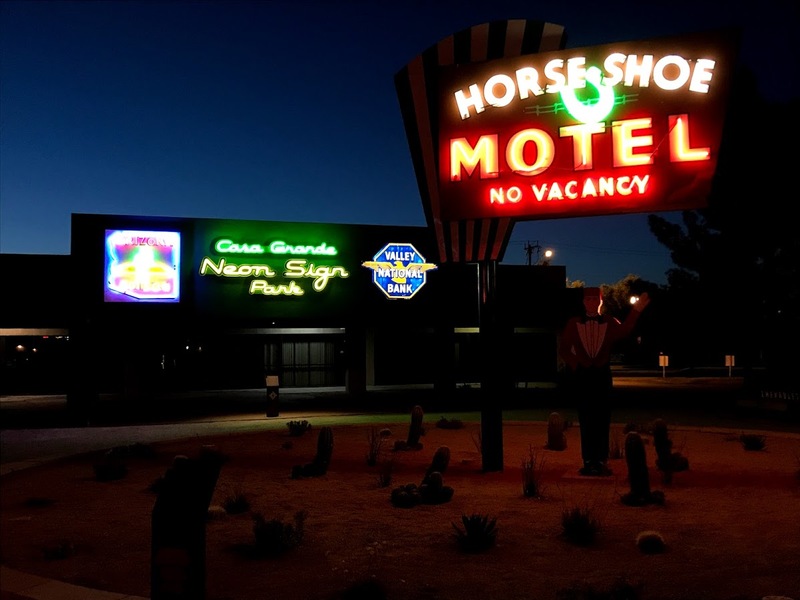 Leave your legacy in the Neon Sign Parl to be viewed by thousands of visitors each year. 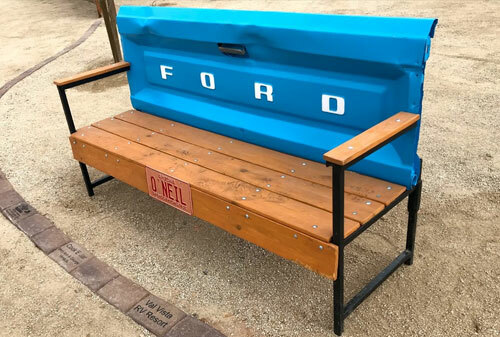 Only $1200 to have your very own tailgate bench added to the neon sign park. 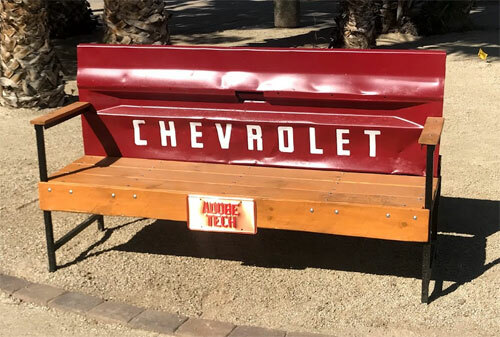 You even get to choose the make of the bench! 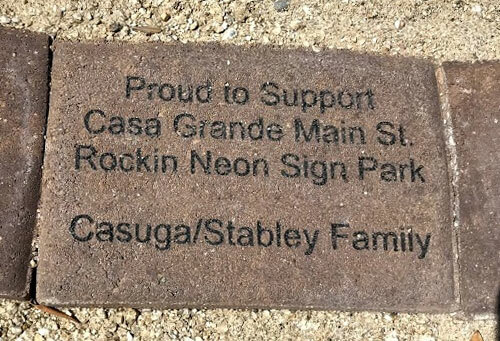 Contact Casa Grande Main Street to order a bench!